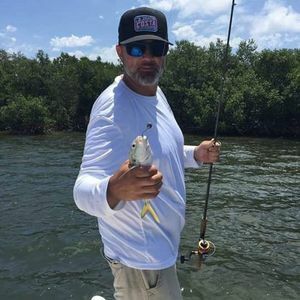 Kevin M. Hall, 38, of Boca Grande and formerly of Brooksville, passed away August 1, 2016. He was a 1997 graduate of Hernando High School. He enjoyed spending time with his family and friends, who will miss him very much. He is predeceased by his father, Morris Hall; uncles Randy Hall and David Salyer; aunts Peggy Salyer and Tammy Hall; grandparents Arnold and Joyce Salyer; and grandfather, Claude Hall. He is survived by his wife, Tiffany (White) Hall of Boca Grande; son Christian Hall of Spring Hill; stepchildren Olivea, Gena and Brother (Julio) Collazo of Brooksville; sister Candy Brooks and her son, Ian Bell, of Boca Grande; mother Sheila (John) Christensen of Spring Hill; grandmother Patsy Hall of Michigan. ; uncles Michael and David Hall and Jimmy Salyer; loving family and friends. Kevin’s Boca Grande memorial celebration will be held on Sunday, Aug. 14 at 6:30 p.m. at the Lighthouse United Methodist Church. At sunset everyone will gather at 1st Street to continue the memorial service.